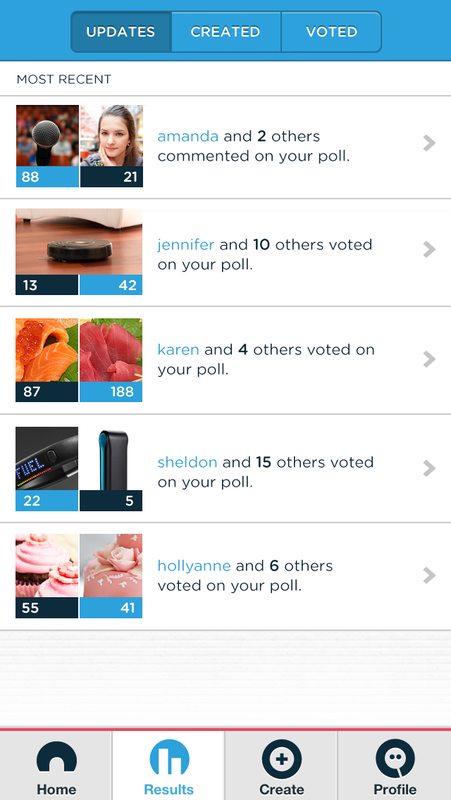 Polar, the mobile app that allows anyone to create their own quick poll, has a new update to its iOS app. 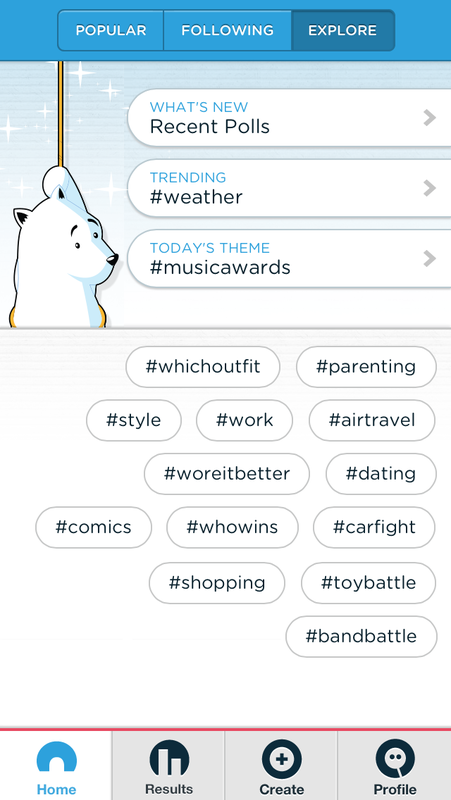 Meant to help polling and opinion sharing be entertaining, the company has added the ability to search for tags by topic, but also by comments and votes. In addition, it now includes the option of creating topic-specific pages and has an activity screen where users can view details about what’s happening with their polls. It’s been a few months since Polar first launched and since then, the goal of the company has remained the same. It has maintained its dedication towards helping people share opinions right from their mobile device. We spoke with former Bagcheck founder and current co-founder of Polar, Luke Wroblewski, who told us that the company started out by thinking people would use the app to help answer decision-making questions. What Wroblewski discovered soon after is that users were using Polar as a media experience, meaning that relevant topics, “water cooler” news, and things they were curious about kept appearing in the app. 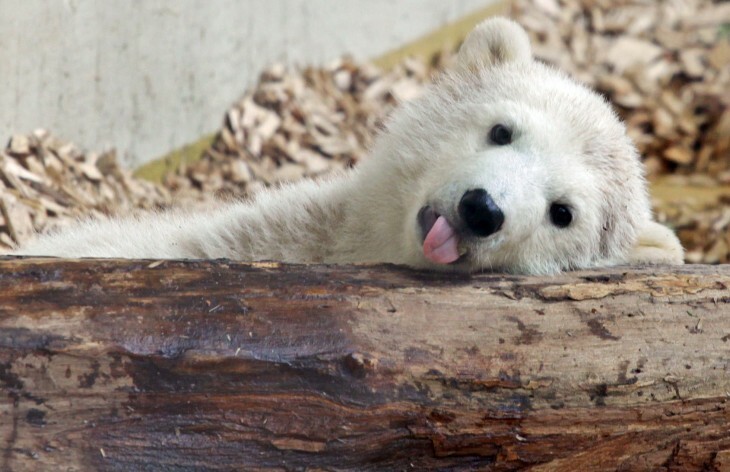 In essence, Polar was being used for entertainment purposes. This is something that seemed to jive with Wroblewski — after all, mobile devices have become the new entertainment screen. To that end, today’s Polar app update seeks to reinforce two key themes: media and relevancy. It was last February when the company added the ability for people to tag polls and have topic pages. Today, Polar has aggregated all of the relevant polls under a single topical page. By doing this, if you look for photos marked #TheNextWeb, all of the polls either created by TNW or tagged accordingly will be displayed. Wroblewski says that in the future, these topical pages will be personalized based on the individual user. The app now includes updated profile pages for users, which Polar says will allow quick discovery of interesting polls and people. Polls shown can be sorted by popularity, the number of comments, the newest or oldest, and more. One last major update to Polar’s iOS app centers around its activity page, which now includes voting milestones and real-time updates on the status of your polls. Wroblewski says that this screen is the most popular one in the entire app. The problem is that there was so much voting coming in that the company needed to find a new way to display activity. Polar decided to focus on milestones that accrued when users aren’t on the app and display in real-time when the app is being used. Push notifications have been added so that users can be made aware of when a specific poll has crossed a 10, 50, or 100 votes. Another thing that was discovered was that users loved to leave comments or have conversations right within the app, the updated Activity screen helps offer more visibility to what’s going on inside the app. Polar certainly is not the only polling and opinion-sharing application out in the marketplace. Users can easily download services like Thumb and Seesaw, both iOS apps that appeared roughly around the same time in the Apple App Store. It’s Thumb that Polar considers to be its competitor in its space, but doesn’t seem to be worried. Wroblewski tells us that, based on reports, Thumb saw six “thumbs” from the average user daily. With Polar, it sees an average of 50 votes per user each day. Polar raised $1.2 million in funding last February from investors including AME Cloud Ventures, Yahoo founder Jerry Yang, Greylock Partners’ John Lilly, and others.